Fort Wayne, IN is quickly becoming known as the home to adaptive sports due to the continued success and offerings of Turnstone, a not-for-profit that aims to empower people with disabilities to achieve their highest potential by providing comprehensive services and programs. Already home to the U.S. Men’s Resident Goalball Program, along with other regional and national organizations, Turnstone has now also attracted the attention of the U.S. Women’s team. 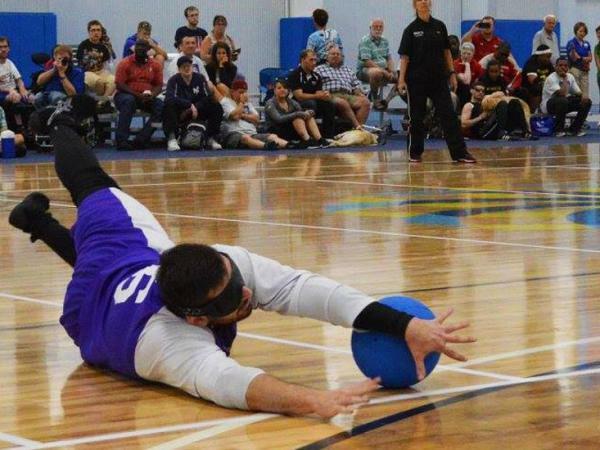 In October 2015, the U.S. Association of Blind Athletes (USABA) partnered with Turnstone Center in Fort Wayne, Indiana, to establish the first-ever U.S. Men’s Resident Goalball Program. The resident program would allow athletes to train together full-time and live within walking distance of training facilities. As a result, the U.S. Men earned silver at the Rio 2016 Paralympic Games just one year later. The U.S. Women, historically one of the best goalball programs in the world, defeated host-country Brazil for bronze. While the U.S. Women had a resident program many years ago at the Olympic Training Center in Colorado Springs, the program was not sustained, and athletes have been training individually at locations across the country. Now, after securing additional funding from Fort Wayne residents Mr. Ron Plassman and his wife, Suzanna, USABA and Turnstone will welcome female athletes to Fort Wayne for the first-ever long-term U.S. Women’s Goalball Resident Program. Like their male counterparts, female resident athletes will train together full-time and live within walking distance of the training facilities. The first group to participate in the program includes Paralympians and up and coming goalball athletes, all of whom will be coached by U.S. Women’s Goalball Head Coach, Jake Czechowski who relocated to Fort Wayne in August. Paralympians Lisa Czechowski, Amanda Dennis and Eliana Mason used to live and train in Tucson, Atlanta and Portland, respectively, but will now train together five days a week at the Plassman Athletic Center at Turnstone. For a team sport like goalball, it is critical that team members practice together frequently. Before the resident program was established, goalball players were traveling to a central location once every three to four months for a weekend-long intense training camp with months of solo practice between training camps. In addition to making the team more cohesive, the resident program is also helping athletes realize goals and dreams they’ve had since being introduced to the sport. “Being part of the Women’s Resident Program means I’m one step closer to accomplishing my goals of making the Tokyo 2020 team and coaching goalball at my alma mater,” said up-and-coming goalball athlete, Vanessa Coleman. Though Coleman, Mason and Shavon Lockhardt arrived in Fort Wayne shortly before training begins on October 2, Rio 2016 Paralympic bronze medalists Czechowski and Dennis are already on the ground. These five athletes make up the inaugural class of female resident athletes training full-time at the U.S. Goalball Center of Excellence. Coleman, Czechowski, Dennis, Lockhardt and Mason began training full-time under the direction of Head Coach Jake Czechowski on Monday, October 2. About Turnstone: Founded in 1943, Turnstone’s mission is to empower people with disabilities to achieve their highest potential by providing comprehensive services and programs. It is the only not-for-profit in the region that offers a full range of programs and facilities designed to meet the unique needs of people with disabilities. 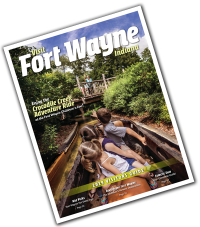 About Visit Fort Wayne: The Fort Wayne/Allen County Convention and Visitors Bureau, is the not-for-profit organization whose purpose is to expand Fort Wayne&apos;s economy by attracting convention and leisure visitors. Each year, millions of dollars from visitor spending generate increased commerce, sustained jobs and enhancement of Fort Wayne&apos;s image.